>If you remember my post on readers and new media from a couple weeks ago, I mentioned this article on an author (Jurgen Neffe) who took advantage of the e-reader format to create circular texts, or ones without a beginning or end. A quick internet search on the author revealed this article entitled “The disembodied book,” which is a pretty thorough discussion of the author’s views on the future of the book and authorship, and the future of reading. He is optimistic about the possibility of more authors being recognized and readers interacting with texts in new ways, although he frames this within the downfall of the print book. I’m one of those folks that feels like we don’t have to choose: I have a Kindle e-reader but still read paper texts as well. However, he doesn’t associate the reduction of print books to their complete elimination, which is an argument I feel has been made far too many times (insert frantic ‘print is dying! We will never read printed books again!’ comments here). The book is not going anywhere, and I think Jurgen has a valid point by reminding us of that, but also reminding us that game changing technologies do indeed have far-reaching effects. People will read more e-books, and multimedia books will allow people to interact with texts in far more ways than before (you can even publish your own multimedia books). My friends who are bookstore owners can attest to the fact that their shops are struggling (which is why I will use this moment to remind you to buy your books from locally owned bookshops–they really are so much better than the big sellers both in terms of unique selection and service), but I just can’t imagine that their shops are all going to disappear under a tidal wave of digital books. People still like print books, but also see the opportunities extant in the digital format (I, for example, plan on self-publishing my library research to the Kindle store, for e-readers, and to Lulu, for tangible books). With this books/no books argument swirling in my head, I decided to take my assignment from my calligraphy instructor for last week (which was to create and calligraph a book) and play around with Jurgen’s notions of a circular text in book format. I found a blog with a number of circular poems, although most of them weren’t suitable to my book because I didn’t feel they were ‘circular’ enough for my needs. 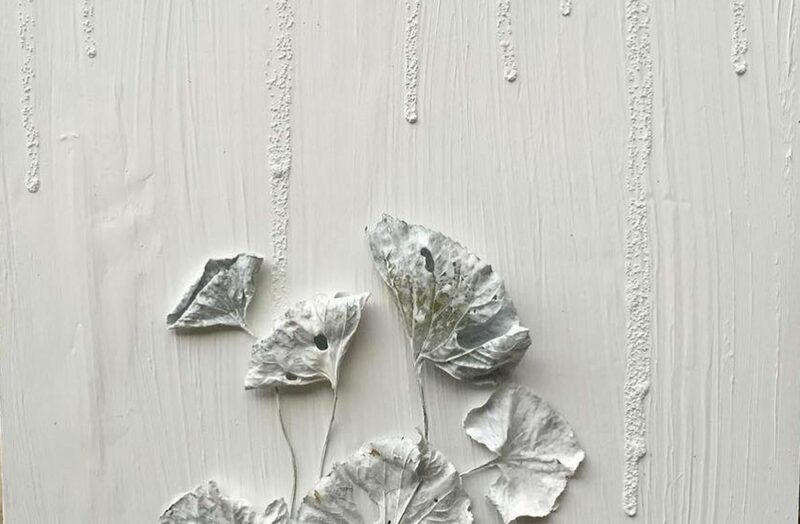 The idea behind such a poem is, like a circular book, that you can begin from anywhere within the poem because it lacks a clear beginning and end. 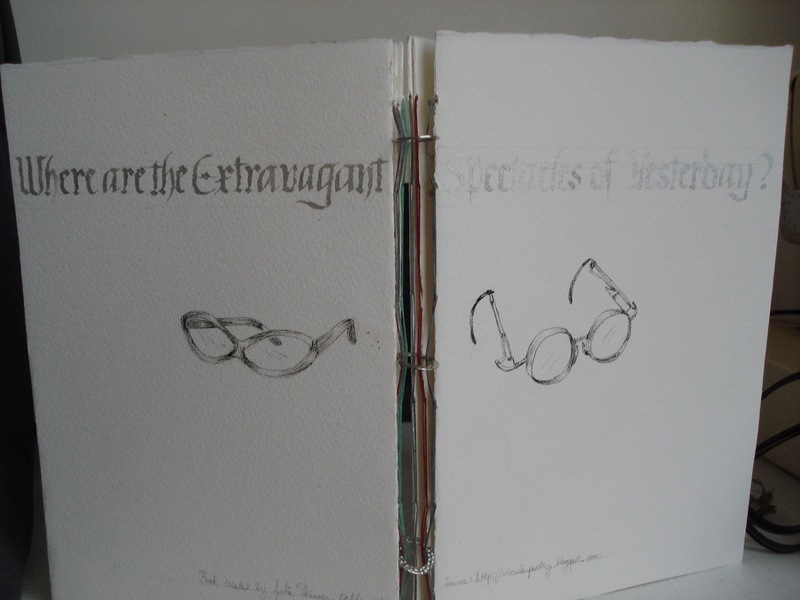 For this first book I used ‘Where are the Extravagant Spectacles of Yesterday?’ because I could not resist the name, but also because it seems very circular. I folded some thick watercolor paper for pages, using only one folio (or piece of paper, for non-binders) per signature (set of page(s), usually a book with have multiple signatures bound together). 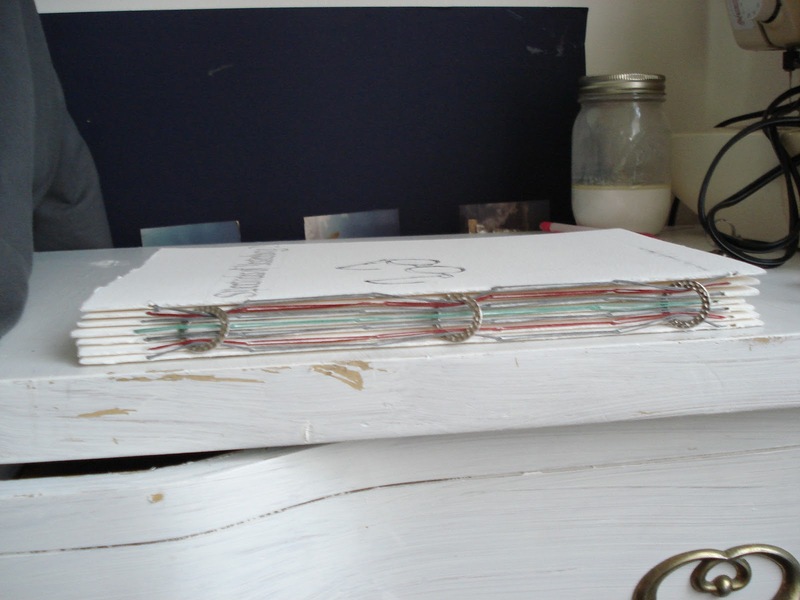 Using three jewelry findings (in this case little silver loops), I created a series of chain stitched pamphlet bindings, and move them through the loops as I progressed. I’m pleased my little experiment worked, and resulted in a book that can lay flat, but that can stand up and turn into a ‘circular text’ by distributing the pages around the loops in such a way that it’s actually a bit hard to figure out where the book starts and ends. 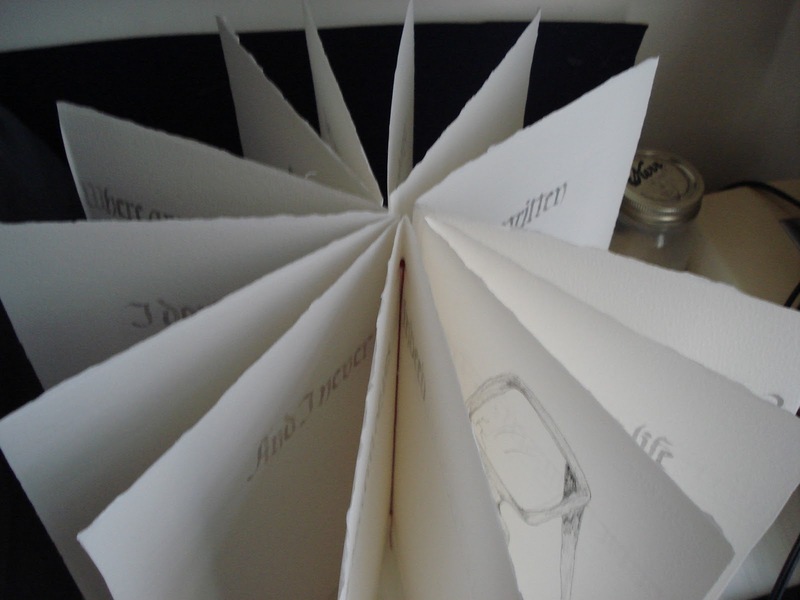 I’m making another circular book for class this week, using the poem ‘Upon the Winds of Time’ from that same site. I’ll post photos after it’s finished! >I absolutely adore the book you've created!! >Thanks! It was a lot of fun to make–definitely one of my favorites! Next PostNext >The Library of Tomorrow…Yesterday!